Should you consider fasting for weight loss? There are many aspects to consider when looking at weight loss and we hear a lot of contradicting information. From calories (not everyone believes in calories and the arguments are actually interesting to hear), diets and type of training used to supplements, medications that induce weight loss, and all the way to gadgets you wear to make you sweat. One thing that maybe interesting to note is that regardless of how much you know and what you believe is the best way forward, the content (i.e. diet and exercise) you choose is not as important as the structure you follow (i.e. food timing, intensity structure). This is where fasting for weight loss comes in. Here’s the thing. We’ve all experienced (or know someone that has) weight loss in the form of water weight. You know the story, you work hard, sweat, lose a lot of weight. So far so good? You’re happy with yourself and you go on holiday, 2 days in and all the weight comes back. Most people guilt themselves thinking they have lost weeks of efforts in 2 days. In reality, those efforts weren’t directed at fat loss but rather at weight loss (which can mean water weight), even though unintended. They haven’t lost much body fat and they haven’t gained much body fat – it was always water. A lion never goes to hunt on full stomach. Fight or flight (which related to adrenaline) is associated with hunger. As soon as your Insulin is up, you can forget about a good adrenaline and growth hormone response from your training – both vital for weight loss. There are other elements associated with fasting that affects well being positively. Two groups of people on the same amount of calories (i.e. 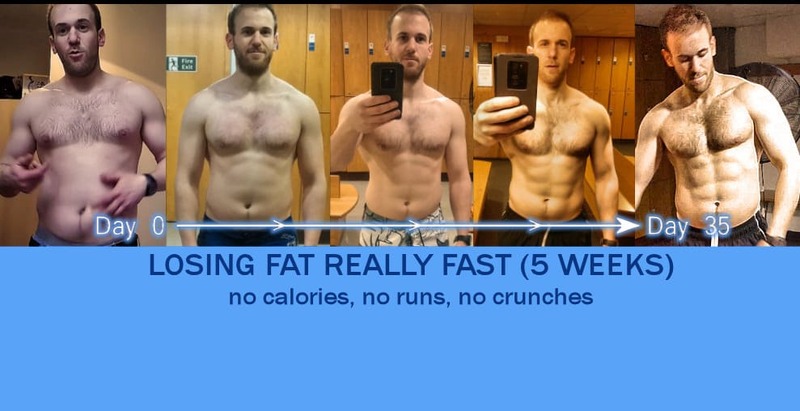 same diet and exercise) will perform very differently when they are fasted. The lesson is, regardless of how much you know about weight loss, fasting is paramount for good results. It’s basic and you should be doing it if you’re serious about working the right way. If you are someone who is trying to become healthier and in the process of trying to lose body fat, it is likely that you would have done research in order to help you to get closer to reaching your goals. Some of these search results may be focused on the types of foods that you should eat as well as the types of foods that cause belly fat. When it comes to the fruit aspect of your diet, the majority of people would assume that fruits are good and a healthy part of their diet, only to stumble upon something on the internet that tells them to avoid a certain fruit at all cost. One of these fruits that has been brought up a lot in the conversation of the foods that cause belly fat is bananas. Now I just want to be completely clear that fruits are a great thing to add to a healthy diet and lifestyle but like anything do not take in an excessive amount because of the fact that you heard they were meant to be good for you. With that, let’s examine the Banana Belly Fat Myth and find out: do bananas cause belly fat or is it just a hype? When it comes to people who are overweight, do you really believe that it is due to the fact that they have been eating too many bananas? The problem is that, for the most part, people’s diets are a combination of foods that are high in sugar, food that is refined and processed and people are drinking things like fizzy drinks on a regular basis, so with all of this in mind it is odd to think that bananas can cause belly fat. The reason why bananas are brought up in the conversation of making you fat is because they are high on the glycemic index, foods that are high on the GL index tend to be digested quickly and therefore spike blood sugar levels when food is digested which is linked to insulin levels being raised but not being used for anything as the food gets digested so quickly, this has been linked with fat gain. Still, regardless of GI or calories, foods that cause the most hormonal imbalances (such as processed foods) are the same foods that increase belly fat. Although bananas are high on the GL index and are often compared to things like fizzy drinks or refined bread, you need to consider the nutritional value of this fruit. The GL index does not show this and that is what most people are basing their theories on about bananas causing you to be fat, so it cannot be compared to things like fizzy drinks etc. which have been directly related to causing fat gain. So bananas are a great thing to add to your healthy diet. These are all foods that cause bloating and belly fat and while bananas aren’t a great choice for weight loss, they hardly one of those foods that cause belly fat. If you want to lose belly fat faster, you will need to factor the hormonal balance. There’s a great protocol described here. For now, just to be clear: Do bananas cause belly fat? Unlikely, but they are not helping you lose it either. The whole concept of fat burning foods is somewhat silly, and once you understand the science, it’s easy to see why. They are a great hangover cure. Hangover happens due to dehydration and one of the things that causes the headaches is the lack of potassium. Bananas are very high in potassium making it a great choice if you had a night out and drank too much. Do bananas cause belly fat? Not really – it was probably the alcohol and other tasty foods that usually go with it. 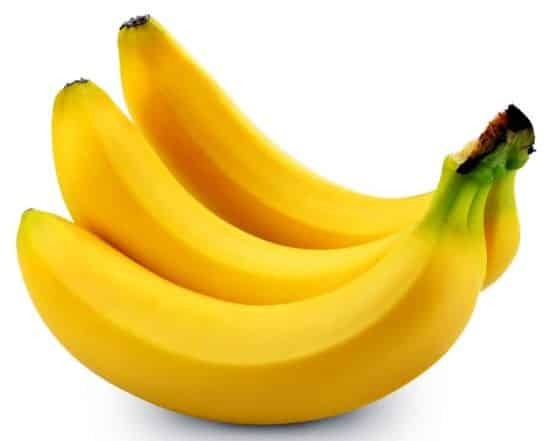 Bananas are great for skin irritation for example after a bug bite. Simply take the peel of the banana and rub it against your skin and it should calm the irritation and help the healing process. Similar to the previous point, banana’s peel is great for the hair to restore nutrients and condition a healthier hair. Just don’t forget it on your head after. Bananas are a great source of the amino acid Tryptophan, known as both the sleep hormone (bananas can help you sleep) and as a factor in reducing stress and anxiety. Bananas are packed with fibre, vitamins and minerals. They can help you increase white blood cells count, fight stomach ulcers and strengthen your immune response. Why not eat bananas? The only reason you can justify is if you’re trying to cut carbs. Bananas are high on carbohydrate so you do need to watch how much you take in when you try and lose weight, even though they aren’t one of those foods that cause belly fat! Honestly, the connection between bananas and belly fat is loose at best and probably non-existent. In my opinion, looking for that 1 food to shift belly fat just shows how little most people know about the biological process. If you want to stop asking the wrong questions and start understanding the real core solutions to belly fat, I invite you to look at project BellyProof. You may be surprised to find out that even experienced lifters, or even coaches, don’t actually know what is a proper squat form. Whether you’ve been squatting a lot of weight and sport a fashionable red face or are fairly new to the squat game – here are some stuff that will get you, and your clients, a squat challenge that is worth your efforts. Feet shoulder width apart (there are variations), toes pointing out (15-30 degrees on both feet). Pull yourself down (hips move downwards, not backward) and stay centered on your heels. This is all about the regressive tissue. Knees track on the lateral aspect of the feet. Stay on the bottom position for at least 1 second, bouncing out of a squat isn’t great for your knees. Drive back up by pressing the ground with your heels. This is a relaxed position, round back is allowed and you should be able to mobilize your hips and spine from that position. A great resource for that is Ido Portal’s 30 day squat challenge. Some people, physically find the squat to be challanging – even if they have the best “coaching”, if it looks like something is wrong, something probably is. 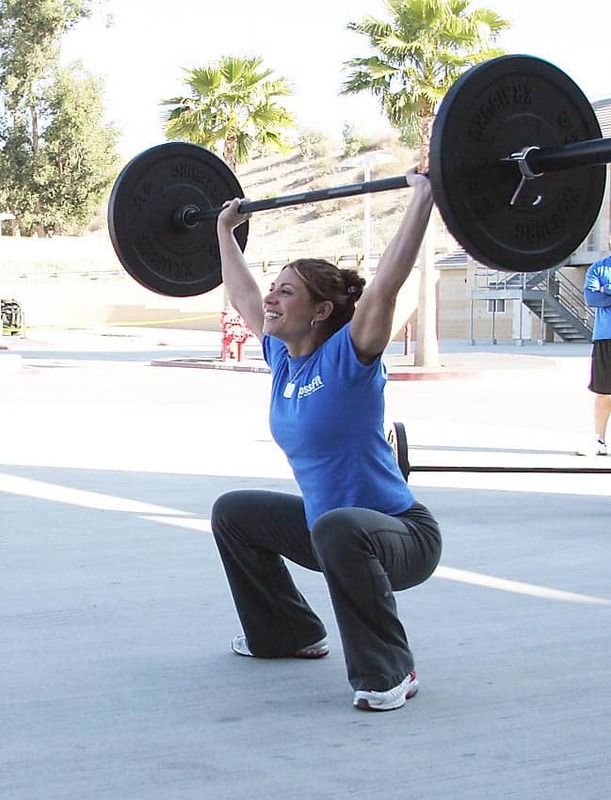 While many of us are missing the movement foundations needed for proper squat form, there are increasingly growing methods to restore and improve the movement. It is important to understand compensations are inevitable if spinal alignment isn’t good, mobility in key areas is lacking or core activation, especially the anterior core, is problematic in bilateral patterns. That can all results in bad squats, pain and even injuries. 2. You need ankle mobility if you hope to ever achieve a proper squat form, if you can’t dorsiflex your ankle to at least 30 degrees (45 is optimal), you will compensate. I’d make it a habit to work 30 seconds of ankle mobility on someone that didn’t have a problem, to warm-up the ankle, let alone someone with missing mobility.I’ve put together a little resource to help you with ankle mobility for squatting. 3. A heel lift, excessive out turn of the foot or even shoes – are all compensatory mechanisms for lack of dorsiflexion. This is ok as a training wheel to coach the movement but you should NOT do heavy squats with a compensation, it’s is by definition not the proper way to do squats. The biggest mistake you can make is going to the leg press machine to “strengthen your legs” – especially, if you can’t squat. Strengthening a muscle in isolation, like any use of machines, is not helping the motor control, mobility and stability needed to perform a movement. don’t put strength on a dysfunctional movement. THIS IS WRONG. FULL STOP. 5. Anterior weight shift – most people pitch forward on a squat test because of an anterior weight shift. This should be progressed, not ignored. By doing the goblet squats as shown in the video below – you provide the squatter with an easy platform to reflexively learn how to engage their hips before they engage their thighs. 6. Quad Dominance – happens sometimes when people do too much with their feet or don’t do anything at all. When approaching the squat, the knee flexion and quad load often incorrectly come before the hip flexion and core load. Often, people think the pressure on the hips is a result of hip flexion limitation. Most of the times, the same pressure is due to the pelvis being tilted forward and the tight quads who dominate the move, try and pull it further forward which creates the pressure. By holding the goblet, it allows you to load the core and hinge just enough to make sure your quads don’t dominate the move. There are more variations to this goblet squat to enhance the core loading sequence – such as curling yourself under the weight. If your squat problems are mainly “stability”, the goblet will allow you to progress past them. 7. Valgus collapse – when you see this, you should know that knee pain / back pain and even an injury are not only possible, but likely. The good thing is that by using RNT, we can fix a good majority of problems. Here’s a quick video from the incredible Charlie Weingroff. Please also note- Both quad dominance (point 6) and Valgus collapse (point 7) – are often symptomatic of an unstable anterior core. This could be manipulated by core activation and a simple brettzel and dead-bug type exercises. 8. Once you have a proper squat form, start building strength, alignment and symmetry, You can either do it by loading a goblet squat on one side, or going through progressions for a pistol squat.The main thing to remember is that symmetry counts. If you can do 10 on the left and 3 on the right – don’t progress until you can do an even number. Before loading an efficient squat, I would say it’s very important to be able to squat down organically. One great resource is the 30 day squat challenge by Ido Portal. Other great resources to achieve proper “hardware” is some drills taken from FRC. Drop it like it’s hot. 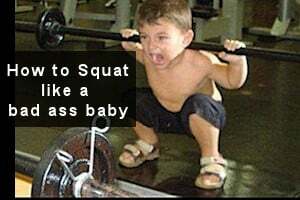 Happy squatting! Make you overall stronger, get you out of flexion and enhance your posture and movement quality. The deadlift stresses all your postural muscles and the entire posterior chain as well as fascia – but it doesn’t stress the joints like squats and lunges do (part of the reason more people hurt themselves doing squats and lunges). Deadlifts are highly functional as they demand gluteus activation and rotator cuff stability. They use the kinetic chain appropriately by making you hinge (mobilize) from your hips, while keeping a stable core and a stable lower back. This is why the deadlift can be used both to enhance function in trainees as well as to rehabilitate injuries. It is the one exercise I’d recommend to athletes, bodybuilders, women, men, old people – everyone. Building on the previous point, the deadlift indeed stresses anything from the grip to hamstrings and glutes – but you shouldn’t do it for the muscles involved, you’re doing it for the movement and sheer strength. All babies deadlift – It’s a natural movement pattern. The inability to do it would count as loss of function, or, “dysfunction”. Biomechanically speaking, you are built for it. Too many people shy away from deadlifting for a very obvious reason – it has the word “dead” in it. The name simply means you are lifting a dead weight off the floor. The other reason people avoid it is that they do it badly and get pain and even get injured. If you have good technique, you will rip a ton of benefits, if not, you will create a ton of stress on your spine and feeling the pain and possibly the injuries are just a matter of time. Stand hip width apart (conventional deadlift), shins all the way to the bar. Bend through your HIPS by sitting back as far as possible, if you still can’t reach the bar, you may pull an extra inch by pulling your hamstrings to the ground and ever so slightly bending the knees. Grab the bar and use it’s weight to pull yourself a little bit lower. Make a double chin, your spine should be neutral from the tailbone, all the way to the head (i.e. neutral neck). Grip the bar hard and retract the shoulders, keep that tension under your shoulder blades. Stand up by pushing your hills into the ground. When stood: don’t shrug your shoulders, don’t hyper extend your back. Finish the move by pushing your hips into the bar, you should have a straight line from your head to your heels. How much should your knees bend – Don’t squat your deadlift. If the two exercises were the same, we would have deleted one. Here are 2 great cues: When you squat, your hips move down, your knees bend forward and your chest should be facing up. When you deadlift, your hips move back and your tibia (shin bone) is near vertical. Look at the knee position. This is neither a squat nor a deadlift – it’s a bad version of both. I see this position in the gym all too often. From a biomechanical stand point, you are only allowed to bend your knees while the bar is between your knees and the ground, once that’s over, it’s only hips. During that knee bend phase, there are less benefits to be achieved from the lift anyway, which is why one good solution is to raise the bar a little bit so you will need less flexion in the knees and can direct all of your efforts back into the hip hinging. Spinal flexion – this is the most important point. Make sure you don’t flex your spine at any point during the lift, not even a little. That’s defeating the purpose of the exercise and putting you at risk. Does this guy look like a question mark or what? Don’t hyperextend your neck. Your cervical spine (neck) is part of your spine and should stay neutral. The only way you are looking at yourself in the mirror at the bottom of the lift is if you are stuck with a stiff neck that hyperextends when you stand up. If that’s not the case – please, always stay neutral. Think of having a double chin. Tip: If you do it right, you should be staring at your self directly in the mirror when you are stood up with the weight, and keeping a line of sight slightly below when you are at the bottom of the lift. Using overhand grip without straps will give you the most overall benefit, once the bar is too heavy, you may use an alternated grip as long as you make sure you swap sides evenly to prevent too much torque to one direction. You should aim to avoid straps or other lifting aids, lift what you can and get stronger on that if you want functional strength carry over. Grip the bar hard and retract your shoulders back. Keep that retraction as you lift. Getting the lats pre-activated is crucial to maintaining a good posture and you want your shoulders retracted rather than pulled (dislocated). 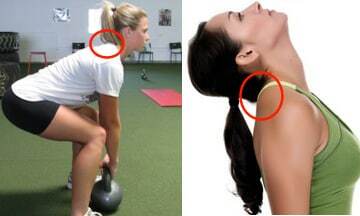 There should be no movement in your shoulder blades, because the deadlift demand static stability in that area. The strong grip is essential to get irradiance that go all the way from your grip, through your shoulders and into the back. You don’t have to understand it right now just make sure you crush that bar as it will make you stronger and make the lift safer. 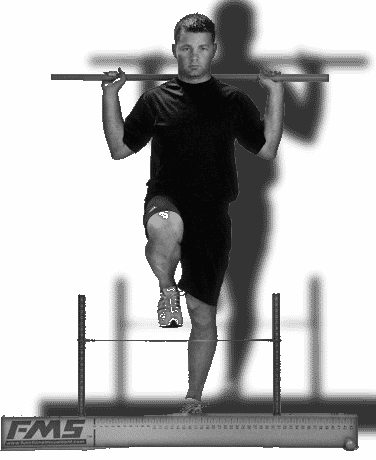 This is a movement pattern – train it for overall body strength -Low Reps, Very heavy. There’s no point in doing light deadlifts. At the very least you should aim to lift your own weight. Stick to multiple sets of 2-5 reps in good form, and steering clear from failure. Toe touching (without bending your knees), also known as MSF (Multi-segmental flexion) can be used to determine if you have enough hip flexion, you can also use it between sets as “bio-feedback” to determine if there was an increase or decrease in the range of motion, allowing you to adapt your technique, weight and lifting style appropriately. We also like to see a 2/2 or 3/3 on the ASLR test in the FMS to know you are not compensating through the movement. Have a look at test #4 on the video below (minute 5:05) to asses your own ASLR test, there are some helpful exercise in the exercise library if you need help correcting (if you still find it hard, get it touch, I can usually correct any ASLR in a few days. I think it’s fair to say: I can help). Try and get the whole body to move as one unit and when standing up with the weight squeeze the bum forward and never, ever hyperextend your lower back holding that weight. The deadlift will strengthen whatever you put underneath. 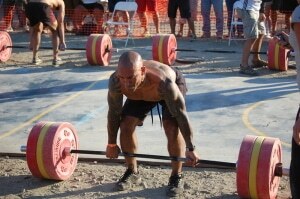 Try and do single leg deadlifts and work your balance and form a bit before every lift. The idea is simple, you don’t want to go into a deadlift with a body that can be perfect on one side and rubbish on the other. That’s a recipe for injury. Knees collapsing in – You are looking at lack of anterior core activation. Foam roll your inner thighs and do a few dead bugs on the side opposite to the knee that cave in, and get ready to say “WOW”. Hip shifting sideways during deadlifts (and squats) – You are looking at rotation through the hip. A great little tip is to squeeze the bum before the you do every lift, you will notice that tends to straighten up your hips into the center. Overtime, this can also become corrective as you load the kinetic chain more efficiently. Inability to do single leg deadlifts on one side – Check your hip internal rotation as well as side planks, you might be surprised in what you find. Work on side planking (on nothing less than brilliant alignment, because you are compensating) together with diaphragmatic breathing (tongue to the roof of your mouth, start breathing deep). 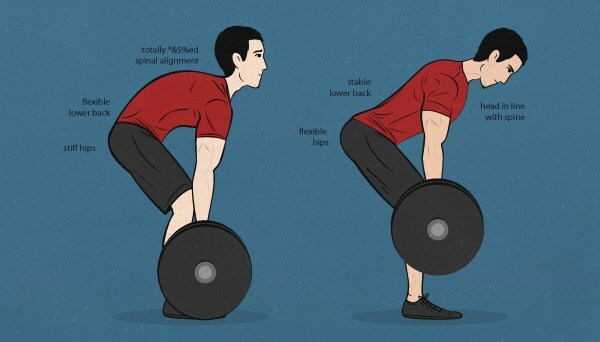 I do get asked about certain deadlifts variation quite often so here’s the functional take on the subject. If by deadlift variation you mean: single leg, single arm, rotational load etc – then yes, it has a functional carry over and can be used to force the body to create more symmetry and stability if you understand the biomechanics and what needs to be improved. Once that is present we can load more weight and introduce more strength as the move has better integrity. If on the other hand you mean something like the RDL (romanian deadlift) or Stiff leg deadlift: It’s not that you can’t do it but you should understand something. RDL for example is used to bias a certain part, like the hamstrings – which by definition makes it more of an isolation exercise. From a functional stand point, there is no reason you would do a deadlift and choose not to use the most advantageous mechanical angles. At the end of the day, you want to benefit from the move as much as possible. 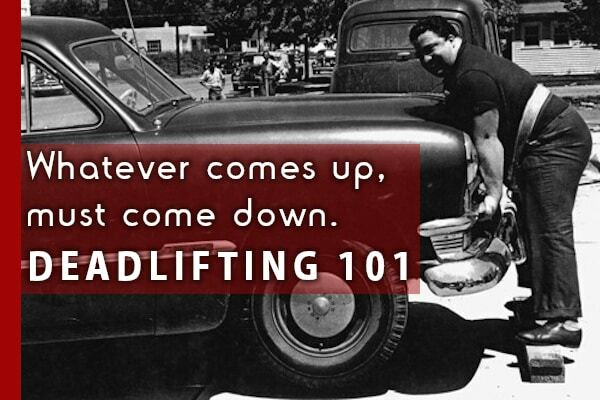 In other words: You can pick some stuff up, or you can deadlift – you choose. “When life gives you a hammer, many things start to look like nails”. The same is true when it comes to functional exercise. As it’s becoming a trend – too many exercises are branded “functional” regardless if they have any carry over to other forms of training or life in general. When we consider what is functional training, we have to understand that not every exercise that involves hip flexion (i.e. step ups), standing on a bosu, lying on a swiss ball or involves 3 planes of motion means that you can call it “functional” as it doesn’t guarantee to improve your stability, mobility or reduce imbalances across the body. 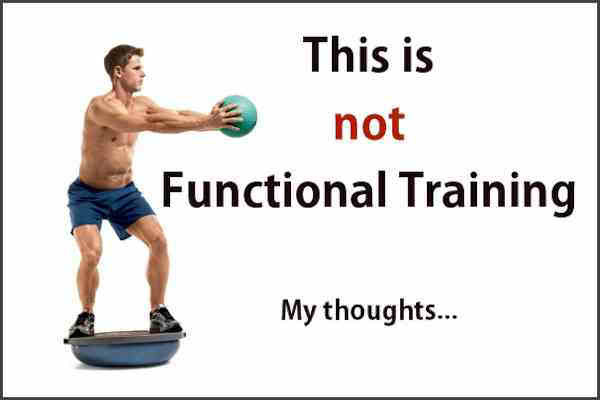 So what is functional training? One thing is for sure, it’s not defined by the way it looks, a simple truth that the fitness industry tends to overlook! Let’s consider the deadlift for example. The idea is simple, you are going to lift stuff (not just gym weights) for the rest of your life, so you may as well do it right. Deadlifting loads the entire posterior chain and strengthens every postural muscle in your body which can give you a fantastic posture when done right. When you analyse the deadlift in the context of movement development you see that it’s a natural move. I don’t need you to deadlift and squat because I want you to have big / strong legs, I need you to do it because you should be able to do it. Babies can do it naturally as part of movement development and if you can’t, it means you have a dysfunction we need to address. It’s silly to assume that practice makes perfect, if anything, practice makes permanent. Going to the fundamentals and handing out some corrective exercise as part of functional training is something many people regard as going back. However, those speed bumps in your training should get you excited. They are designed not only to increase your safety but also to increase performance at every level. Stabilizing muscles are often quick to respond as they are reflex based and if we can improve your hips stability (for example) this will have a positive effect not just on your lifts, running and athletic performance but also on more basic fundamental movement you do outside of the gym (i.e. walking, lifting things, getting stronger and avoiding injuries at every level). This is why true functional training should be considered for every type of training if you’re serious about getting good results. As a wise man once said “First move well, then move a lot”.